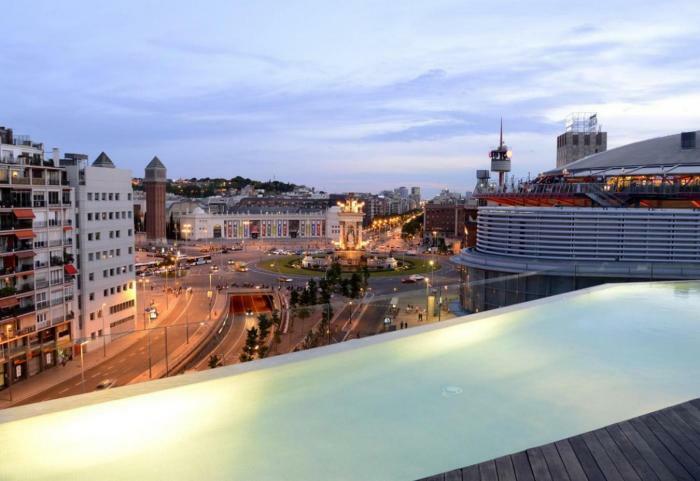 Imagine melting into the Barcelona sky while luxuriating in a refreshing bath. 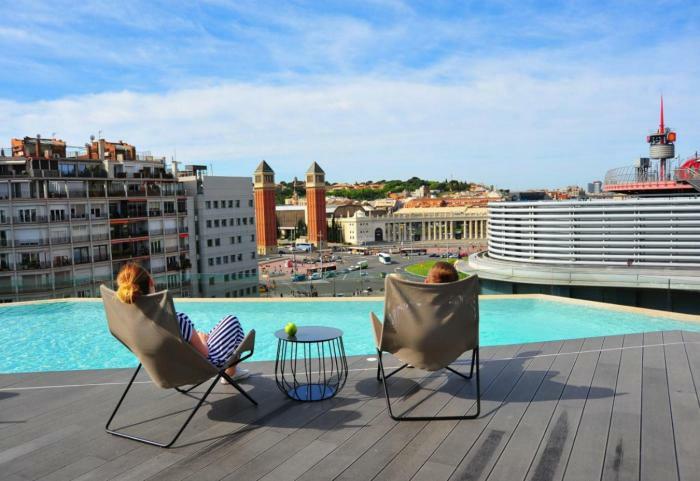 Lounging on the B-Hotel terrace, you can do just that, and much more. 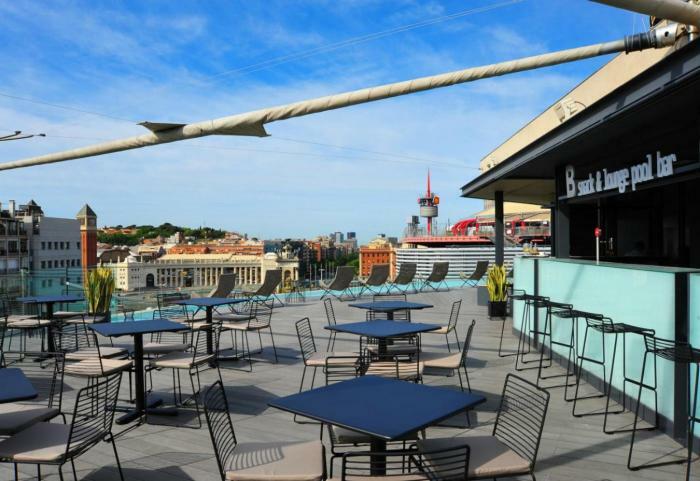 A spacious solarium where you can relax and get a tan, cool off in the B-pool, and enjoy the amazing panoramic views of the city, overlooking Plaza Espanya, Gran Vía, Las Arenas Shopping Center planned by Richard Rogers, and just about everything in-between. And in the warm spring and summer months, the pool bar will be serving tapas on the terrace, making it an idea spot for an outdoor celebration like a wedding, communion, anniversary, cocktail party, informal gathering, or even a small get-together among friends. Our pool is not heated. *Limited capacity, ask at reception. **Use of the pool is restricted to hotel guests only. A terrace with solarium and sun loungers, an incredible integrated pool with the landscape around it.